Katie started in the dental field as an RDA in 2005. She has been a part of our team since 2010. She is proficient at maximizing insurance benefits and providing financial guidance as a patient advocate. Katie is able to multitask and perform at the reception desk and also rotate as a dental assistant as needed. She loves to spend time with her family and going to the ocean. Kourtney went to Anthem College and has been with us since 2013. She enjoys patient care and has excellent skills with making her patients feel at ease with treatment. In her spare time Kourtney loves to be outdoors enjoying rafting and camping with her family. Jeneatte went to Carrington College where she graduated with Honors and was awarded the Clinical Excellence Award. She was in the United States Air Force for 6 years, where she was a dental assistant and a prophylaxis technician. 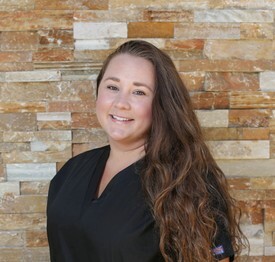 She enjoyed being in the dental field so much that she decided to get her Registered Dental Hygiene license and has been a part of our dental team since 2013. 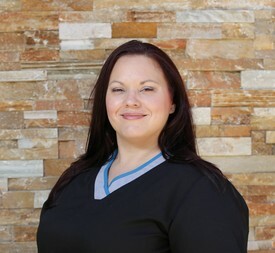 Her goal as a hygienist is to treat every patient as if they are family. She feels very strongly about the importance of education when it comes to understanding your dental needs so you can keep your teeth for life. Jeneatte enjoys spending time with her family and is a busy mom to two beautiful boys.